My new job might require travel, and other things have come up that can’t be ignored anymore, which is why I’m currently in the process of renegotiating my parenting plan. The first negotiation was stressful enough, and I hadn’t expected to be renegotiating again so soon. There are many reasons you might need to renegotiate your parenting plan: it may have been written with set milestones for reevaluation and renegotiation, such as when your child reaches a specific age or grade level, or your or your ex’s life circumstances, such as employment, may have changed. If you’re thinking about renegotiating your parenting plan or have already determined that it’s necessary, the answers to the following questions will help prepare you for your renegotiation. Do you know what you want going into negotiations? Often the prior decree is the basis for custody and parenting plan renegotiations. Whether it’s been two years since you signed it or it’s been only a few months, you’ve now had experience living with the stipulations in that decree. Take stock of what did and didn’t work under the previous parenting plan. Unfortunately, communication with my ex-husband hasn’t improved in the years postdivorce. In our new decree, we’ve added a section stipulating how communication will be handled (through an online tool) and when exceptions can be made in cases of emergency. With so much to address in one document, something might have been left out. Solo Mom Krista Eldridge’s original decree, final in January 2018, didn’t address a summer schedule. Because she and her ex are having to go back to add one, she’s also fixing some other issues. “I’ve prioritized my ‘musts,’ ‘wants,’ and ‘will give away’ by starting all the negotiations listing exactly what I want, then being willing to ease back a little,” she says. It’s a good strategy to have in place before renegotiations begin. Make peace with the fact that you’re unlikely to get everything you want and know which stipulations you’re willing to fight for. Can you plan for a custody renegotiation in the original decree? Jason Brown, a lawyer who specializes in divorce and family law cases, handles parenting plan renegotiations on a regular basis. He advises that parents stipulate in the original parenting plan which rules of law will apply in renegotiations. (Each state establishes its own rules governing child custody and visitation rights, so it’s important to stipulate which rules will be applied based on your individual circumstances.) It’s also a good idea to put in some presumptions going forward, such as whose house will be the primary residence; what the schedule may reset to at certain milestones, such as when the child enters kindergarten or junior high; and which school your child will attend. If you didn’t address those issues in your original parenting plan and are renegotiating for other reasons, consider adding those stipulations. Brown often sees clients who have handled their own divorce with forms that do not cover everything he would have advised them to include originally. In those cases, Brown says, “We will often say to them we can beef it up and try to cover it when they come in to renegotiate.” During my renegotiation, my lawyer and I added clauses about extracurricular activities (two per season) and a cap on how much would be spent on them. What happens if you do end up in court? If you agree on some items but not all, see if you can get sign-off on them before you go to court. It will make the court appearance go faster, cutting down on arguing and thus saving you money. The process may vary by state, but in general, the judge will have the petitioner’s lawyer list the items that are under dispute and then likely ask both sides to present their arguments for and against, and may try to guide you both toward a compromise. The judge may also deny some items outright, at which point your only option is to appeal at a later date. The judge may also move some items to an evidentiary hearing, which is what happened to me regarding child support. 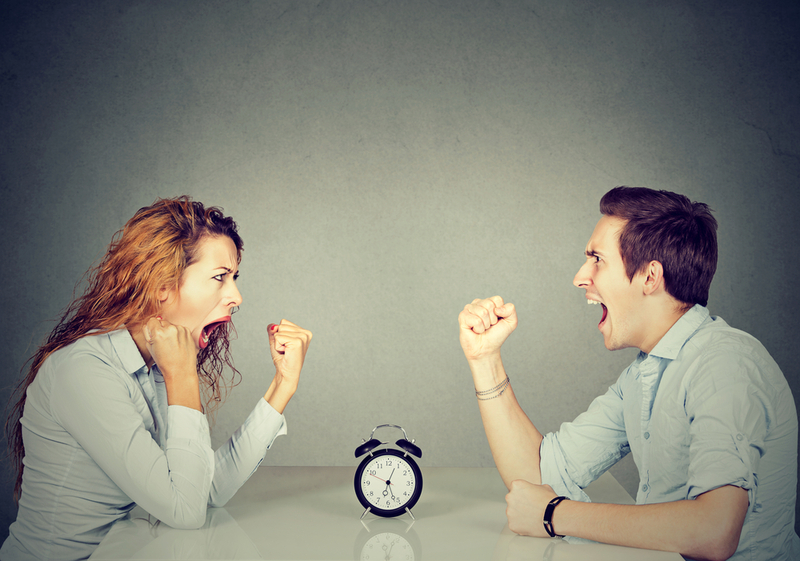 How do you maintain your calm during renegotiations? During the month my ex and I renegotiated our parenting plan, I went to yoga class a record 14 times. I downloaded a meditation app and meditated for five minutes before going into court. Both Eldridge and I have lost our tempers with our exes, in which case she advises “stepping back to take a deep breath and getting a drink of water to cool down and try again.” In addition to going to the gym regularly, she also keeps a journal in which she can vent her frustrations. Whatever self-care looks like for you, plan it into your schedule during your renegotiation and the weeks leading up to any court appearance. Managing your stress will be key to your success. And reach out for help. Two days before my court appearance, I hit a wall. I just couldn’t function. I posted on Facebook asking for help with meals, and friends arranged for Mexican, Thai, Chinese, and pizza to arrive at my apartment over the following week. In some ways, I think a parenting plan renegotiation can be more stressful than the original negotiations. You’ve lived with the old plan and know what doesn’t work, so you’re likely more invested in the changes that you want. It’s not an easy place to be. The good news is that you can improve on the original plan, based on the experience of living with it. You may walk out of your renegotiations happier and more at peace than you were after the original parenting plan was put in place. Have you had to renegotiate your plan? How did it go? Dena Landon is a freelance writer whose work has appeared in Good Housekeeping, the Washington Post, Salon, Parent Co., and more. She blogs about being a Solo Mom at Femme Feminism.